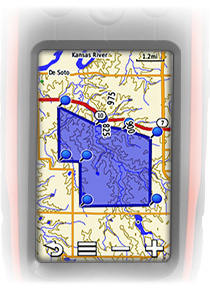 The Garmin Alpha 100 is a multi-dog tracking GPS and remote training device built into one unit. In addition to tracking as many as 20 dogs, the Garmin Alpha 100 will track a variety of other handheld units, making it easier than ever to keep tabs on the whereabouts of your hunting friends. 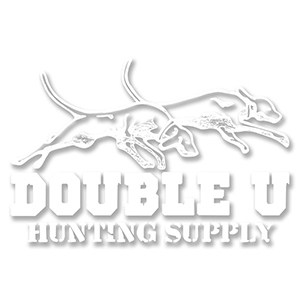 You’ll be able to train 3 dogs at a time with separate levels or modes of stimulation for each and simultaneously see when your dogs are moving or on point or treed. The Alpha 100 handheld combines Garmin’s advanced GPS system with proven Tri-Tronics smart-sensing technology to give you a single dog tracking and training device that fits in the palm of your hand. 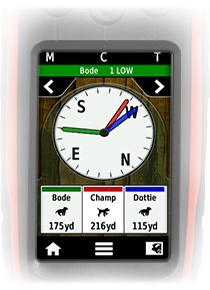 The Alpha 100 handheld is great for anyone who works with dogs in the field, as it allows you to keep track of location and movement, while also communicating with your dog as a training tool. The Garmin Alpha 100 features a bright touchscreen display that is fully customizable. You can also adjust the training settings to provide momentary, continuous, vibrate or tone stimulation. 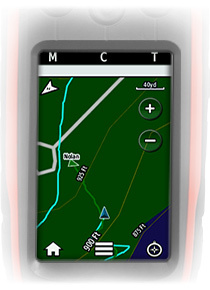 As an added bonus, the Alpha 100 handheld comes with over one thousand preprogrammed topographic maps! You can purchase the Garmin Alpha 100 in a bundle or as a stand-alone receiver. Track and Train 20 Dogs. Simply connect any compatible Garmin GPS dog collar to the Garmin Alpha 100 and you’ll be ready to go. This device allows you to simultaneously track and train as many as 20 dogs. You’ll be able to see your dogs’ location on the preloaded map, get detailed information about any selection of dogs on your list, as well as correct any dog on the screen without falsely correcting the others. Easy-to-access training buttons allow you to communicate separately with each dog connected to your device. You can choose from 18 levels of momentary and 18 levels of continuous stimulation or an audible tone command. Plus, a lockout setting is available to avoid accidental stimulation or tone. At-A-Glance Dog Stats. Get the information you always need all on one screen. From the compass screen, get in-depth information about speed, direction traveling, and distance away for any dogs you've selected. Keep ‘em Away From Hazard. Don’t wait until your dog is lost or in danger, instead prevent a threat before it happens. With the Garmin Alpha 100, setup virtual boundaries on your map and receive an alert if a dog strays out of bounds so you can retrieve him right away. Your Own Birds Eye View. 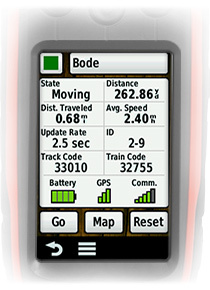 The Garmin Alpha 100 uses BirdsEye Satellite Imagery which overlays your dog’s movements over a detailed satellite map. These highly-detailed raster maps provide a realistic bird’s eye view of roads, parking areas, buildings, and terrain, including tree lines, lakes, rivers, and streams. They are a great way to supplement the comprehensive topographic maps on your Alpha. Keep Up With Your Buddies. 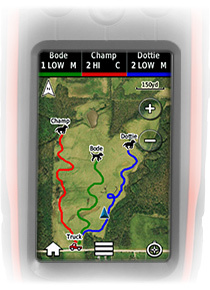 Know the whereabouts of other hunters in your group with the Alpha 100 handheld. Set your Alpha to show not only the dogs in your group, but the other Alpha handhelds too. You’ll be able to connect to as many as 20 collars and Alpha units, in any combination. Please note that the Alpha 100 cannot track Astro devices. Extend Your Battery When the Garmin Alpha 100 is paired with the TT 10, you’ll be able to switch your collars to Sleep Mode to prolong the battery life. When the TT 10 drops below a 25 percent charge, it automatically switches to Rescue Mode, which slows down the update rate to 2-minute intervals. This mode extends the battery life on the collar, giving you more time to find and retrieve your dog. Purchase an Alpha 100 handheld today to get started with these great features!